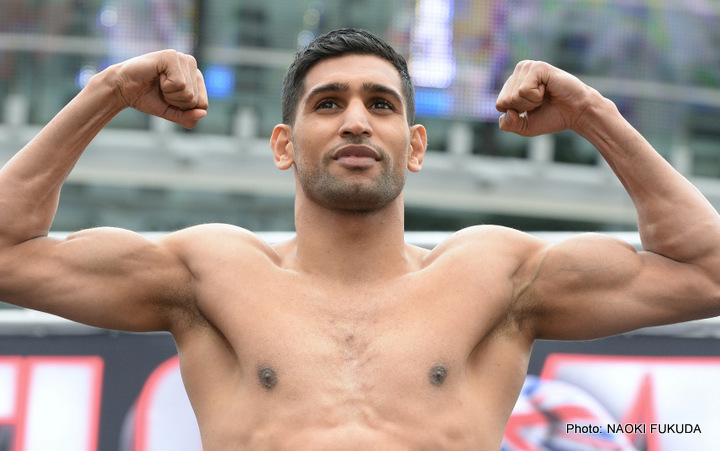 Khan, two fights and two wins into his latest comeback, is also annoyed due to the fact that there are now rumours that suggest Broner might face Manny Pacquiao next, and not Mayweather. Pacquiao of course is another huge name Khan wants to fight. “So I see a tweet that there’s talk about Floyd Mayweather possibly fighting ‘The Problem’ Adrien Broner. The only ‘problem’ here is Mayweather’s been ducking me for years because he knows styles make fights. My style would cause him a whole load of problems,” Khan wrote earlier today. We don’t yet know if Mayweather will indeed fight Broner next, or at any time, but there is continuing speculation that the fight could happen in Japan, on New Year’s Eve. Khan of course wants to fight Mayweather instead, but is there more spice to a Mayweather-Broner fight? Floyd knows this one would very possibly sell due to the backstory he and Broner have – being buddies and then falling out. And as for Floyd ducking Khan, well, let’s just say Khan will have very little fan support with his claims. Khan gives Broner no chance in either fight, but would fans give Khan a shot in either fight? It will be down to Floyd and Floyd alone when it comes to who he fights next, and when and where.